In this day and age, it is not only common, but expected to have access to new content on-demand via our phones, tablets and televisions. This expectation continues to manifest itself in nearly every environment we enter. With restaurants constantly changing promotions, new FDA regulations, day-parting, etc., fresh communication to the customer is always in demand. And, there is no doubt, digital signage is the answer. Communicating digitally allows restaurants to quickly and easily change or tweak content while it’s live or relatively live. Digital signage, too, allows restaurants to communicate with customers in an even more engaging and stimulating manner than ever before. Digital content offers restaurants various opportunities to go above and beyond in its communication offerings. While it may be most exciting to consider what content restaurants can offer to entertain guests, it is most important for a restaurant to define its brand messaging and evoke the ideal emotions in communications and in menu presentation. Red for Quick Service Restaurants (QSRs): Many experts in color theory suggest red for QSRs, but deem it inappropriate for sit-down restaurants. While it may increase heart rate and stimulate impulsive eating (a plus for QSRs), bright red digital signage or rooms may repel customers looking to stay for some time. Generally speaking, bright colors should be reserved for quick service and are a great choice for indoor and outdoor digital signage in these venues. Green for Casual/Healthy Restaurants: Traditionally, green evokes calm feelings and, in general, is a soothing shade. This can be a great selection for casual restaurants looking for folks to sit and stay a while. It is also associated with freshness, healthy foods, nature, and the like. Soothing greens not only can be used to display menu content, but also imagery of the fresh vegetables and greens that guests will be served. Warm Earth Tones for Fine Dining: These colors also help customers relax, making them a great choice for restaurants in which one would be expected to stay a while and have multiple courses. This color theory should also apply to how bright the signage is—more muted content should be used in environments such as these. 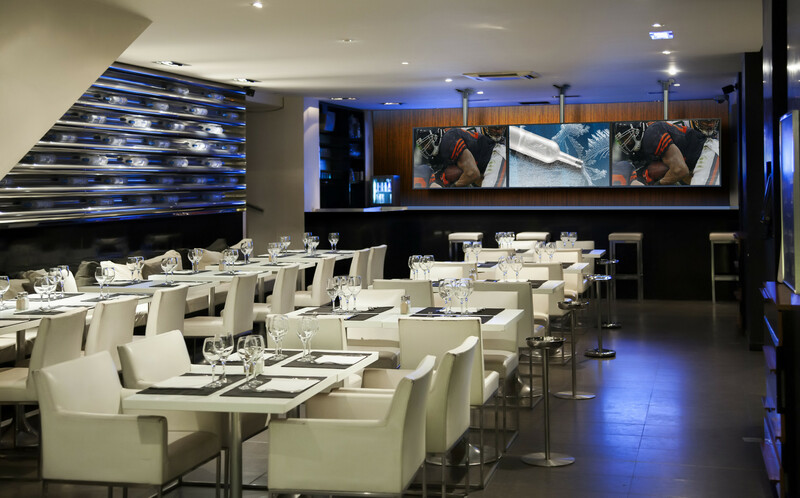 Fortunately for restaurants, there are a multitude of ways to implement digital signage solutions to display entertainment, menu options, and nutrition information. From on-wall kiosks to customer-facing, self-ordering kiosks to outdoor drive-thru solutions, digital signage can enhance the customer experience in any type of restaurant setting. 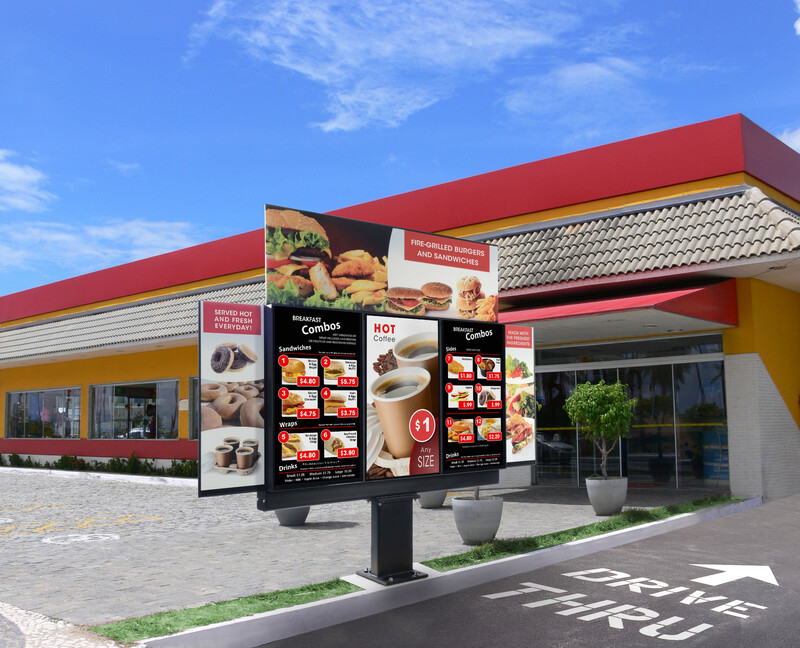 As most QSRs offer drive-thru or walk-up ordering outdoors, these restaurants should look for 100% sealed (even down to the cable entry) displays for its menu boards. With built-in thermal systems, display components are kept safely warmed in severe cold and properly cooled in severe heat, reducing electricity costs. QSRs should also look for displays with an IP68 rating—this signifies a display’s protection against dirt, ice formation, and temporary submersion in water, as well as its ability to operate in extreme temperatures from -40° F to 140° F. This is especially important for properties located in all-season regions. Impact-resistant cover glass is also a must for outdoor menu boards, especially in unattended public areas. Additionally, selecting a display that is optically bonded not only reduces glare and makes the display much more durable, but also reduces the display’s solar load. Likewise, polarization is key in outdoor displays—without this, displays may be blacked out/unable to be read by folks wearing polarized lenses. These considerations in tandem with an ambient light sensor ensure nutrition information is always legible, which is of course one of the top priorities. Restaurants looking to implement new menus will also find digital signage to offer engaging options—such as floor-standing touch screen kiosks, which allow customers the opportunity to view the menu and nutrition information before the order point, reducing wait times and waste from continually reprinting menus for these purposes. 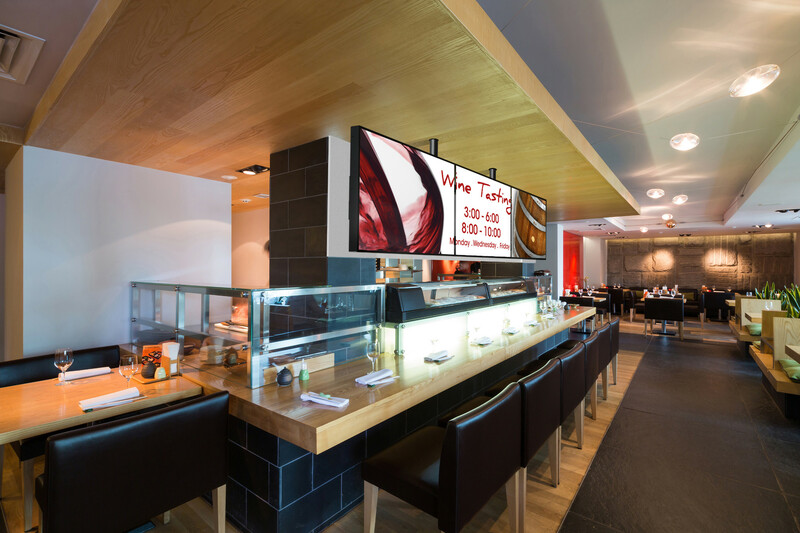 In addition to making the customer more informed, digital signage has many benefits for restaurant owners, particularly when compared to the static signage used in a large portion of restaurants to this day. 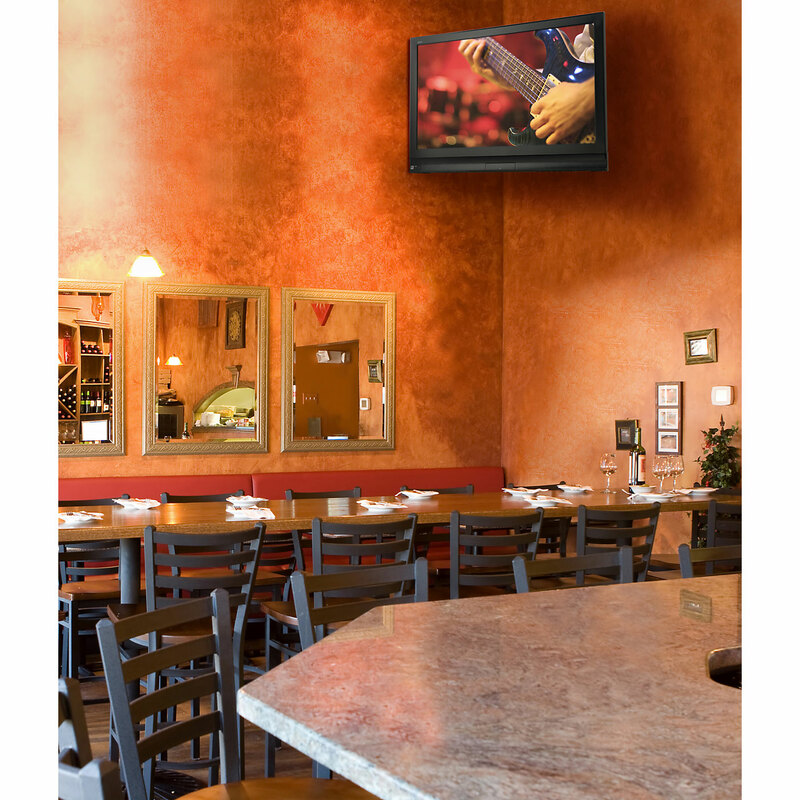 Flexibility: Digital signage offers restaurants the flexibility needed to update content. Promotional items and menu content (new items, prices, sold-out items, calorie counts, etc.) can be quickly changed. Additionally, day-parting will no longer be a concern as the breakfast menu can be easily switched to the lunch menu from a computer. Increase in sales: Animated menu content is more eye-catching and engaging than static signage, which further entices customers to make additional purchases. This too offers restaurant owners the chance to visually promote new, healthier options. Create food awareness, allowing customers to feel confident in what they are purchasing by making an informed choice. Help customers to make purchases based on the quality of food over quantity or price. Increase customers’ chances of weight loss success as visually seeing calorie counts helps consumers maintain mindfulness of their dieting goals. While new laws from the FDA requiring changes in the display of nutrition information was a concern for the food industry, the ability to offer this information to customers in an engaging way via digital signage provides benefits for both the customer and the restaurant. In the age of information, it is almost startling how much information is sometimes missing from menus and the lack of integration of digital signage in restaurants. Staying ahead of the technology curve and improving a restaurant’s signage offers an opportunity to meet customers’ needs and improve both engagement and profits, results that any restaurant is bound to reap the benefits from. Peerless-AV is a member of the Digital Signage Federation, the only independent, not-for-profit trade organization serving the digital signage industry. The DSF supports and promotes the common business interests of worldwide digital signage, interactive technologies and digital out-of-home network industries. To learn more, go to www.digitalsignagefederation.org. 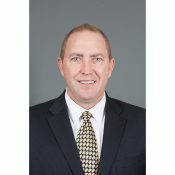 Brian McClimans serves as Vice President of Global Business Development at Peerless-AV. In his current role, McClimans is responsible for establishing new markets, developing new products and managing strategic relationships for Peerless-AV throughout North America, South America, EMEA, and Mexico.